You've got financial goals, but why be lonely while you're reaching them? Find your tribe! Grow your group! Commit to your community! 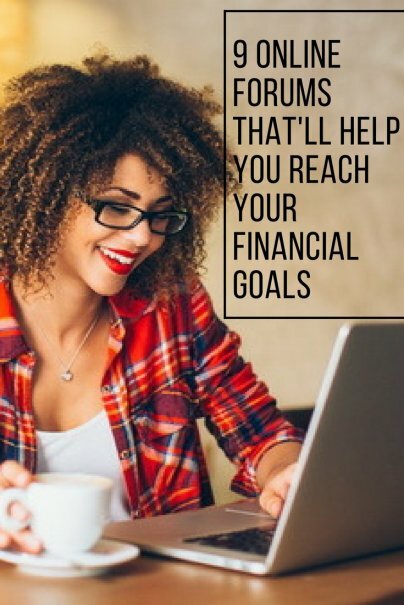 And reach those money goals faster with the help and advice of online friends who are focused on reaching the same goals with you. Start here to master the personal finance basics. If you want to start being more aware of your money and more proactive in how you manage it, you can't find a better place than Reddit's personal finance subreddit. It's an active, friendly group full of down-to-earth people sharing real advice and tips and asking for insight from others. Getting better at finance means getting at least a little bit better at understanding and managing your taxes. The Mr. Money Mustache Taxes forum can help. Topics vary widely with the common theme of taxes bringing them all together. You'll see threads on everything from making IRA contributions, to dealing with an inheritance, to calculating self-employment tax. For real estate investment help and support, check out the BiggerPockets real estate investing forum. You'll find questions, answers, and plenty of advice on the subject. Topics cover everything from real estate taxes, to investment strategies, to landlord responsibilities. Quora is a massive Q&A website with a huge array of topics; dive into Returns On Investment to read questions and a variety of answers on the best methods and strategies for investing your money. You can also check out the Stock Market Investing page for even more information on investing. This is a large and active forum with many financial-themed topics. Of particular interest for your debt repayment goals are the Debt-Free Wannabe and Mortgage-Free Wannabe threads. Join hundreds of members who are working their way toward their debt-free goals. It's encouraging to know you're not alone, and you can also find advice and tips for ways to be as efficient as possible with your repayment plans. How deep do you want to dive into changing your lifestyle to be a more frugal one? The Frugal Village forum can take you there. Topics get into detail, so you can explore the one you're most interested in. There are also several threads dedicated to specific money and frugal living challenges. For extra incentive, take on a challenge with your forum friends to cheer you on. The Tip Yourself app (for iOS) gives you the option to, well, tip yourself. Forego that pricey coffee, new book, or other impulse purchase and give yourself the money instead, designating the amount in the app where you can watch the dollars in your own tip jar increase. The community feature makes this app fun to use; you can see what others are doing, comment and like their tips, and receive the same kind of encouragement for yourself. While you could easily do this yourself with a savings account, the interactive, community-oriented nature of Tip Yourself adds an element of fun that might spur you to save more than you normally would on your own. CafeMom is a popular site with all sorts of specialized groups; this particular one, The Family Piggy Bank, brings together moms who are doing their best to save, invest, and plan for a happy financial future for their families. You can join a daily savings challenge, ask a question, or find out how other families are saving money on everything from holiday gifts, family travel, food budgets, and life insurance. The forum on Entrepreneurship at Mr. Money Mustache is active and full of advice. You'll read real stories of people who are building up their own businesses in order to increase their income. You don't have to be a full-time entrepreneur or business owner to benefit from the knowledge shared here. In fact, it's a great community to be part of for encouragement as you turn your hobby or side hustle into something more profitable.